Today I wanted to share my sewing space with everyone. I wish I was posting my Sassy Librarian Blouse but fate has conspired against a photo shoot. It shouldn’t be much longer. It can be a little addictive to look at people’s sewing rooms online. An entire room to put their hobby in! It’s something I dream of having when we move and is a big factor for me in selecting a new house. This weekend was a day to get things in order. A quick ikea trip and some ruthless stash sorting has made a wealth of difference. It’s not the most spacious and glamorous area but it works for me in my teeny flat. I’ve got some space on my bookshelf for sewing books, magazines and pattern books. My mannequin Beryl fits behind the sofa ready and waiting for fitting tasks. I use a drop leaf dining table as my sewing table which has its flaws but helpfully it can hold my cantilever sewing box, machine, serger and spool holder. I have an ikea storage unit with big teal boxes for all my fabric; I have winter weight fabric in one, summer weights and what-not in a second, ufos and re-fashions in a third, and scraps in the fourth. My vogue calendar hangs from the side keeping me inspired. My patterns sit in two expanding box files just out of sight but always in reach, along with my rulers, cutting mat, and new tailor’s aubergine! So there you have it, a look into how I’ve squeezed a sewing area into my living room. Today has also been about pre-washing fabric. The fantastic folk at Minerva Crafts have sent me this luscious viscose and New Look pattern 6069. This weekend has been a busy one. Friday night out for dinner. 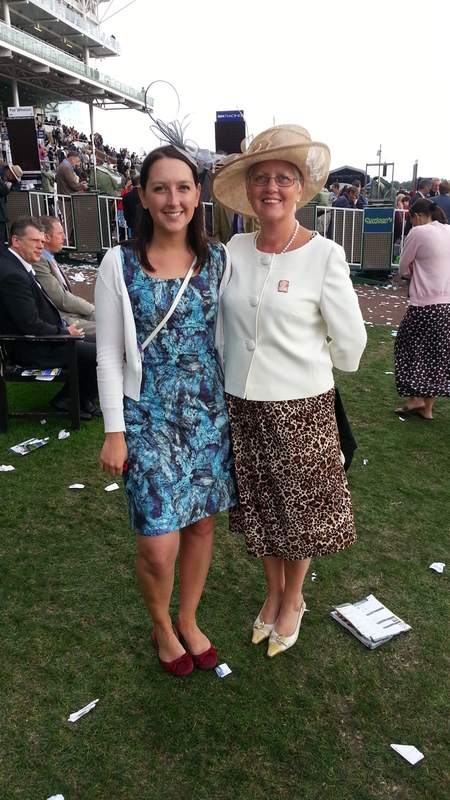 Saturday a day at York Races with dinner out. And today was car booting, sewing and cooking a feast. So yeah, mostly revolving around food! The Races was excellent. It was York’s annual racing + music weekend. I went with the family plus Jim and my little bro’s girlfriend M. I love it when M and Jim stand together because she is so petite and he looks like a giant. Hehehe. Sadly I don’t have a good pic of us all to put up. I’m wearing my wookie hole Liberty dress (minus the matching bow — it didn’t go with the fascinator). And Mum braved the leopard print! We didn’t stay for the music as a) it was McFly (who only my mum was keen on — she loved Harry from his time of SCD) ; b) because it started to rain just as they started and c) because we had to get back for our restaurant booking! After all the fun and food from yesterday I was pleased that today was very productive. I went to Rufforth car boot to finally meet the infamous sewing woman! And she wasn’t there. Lame!! But her nephew was manning the stall so I bought some little bits of course. Then fun really started. I got home and started working on my little fro’s graduation gift. I know I’m a bit late but I’ve caught up quite a lot now. I’m making him an iPad case. 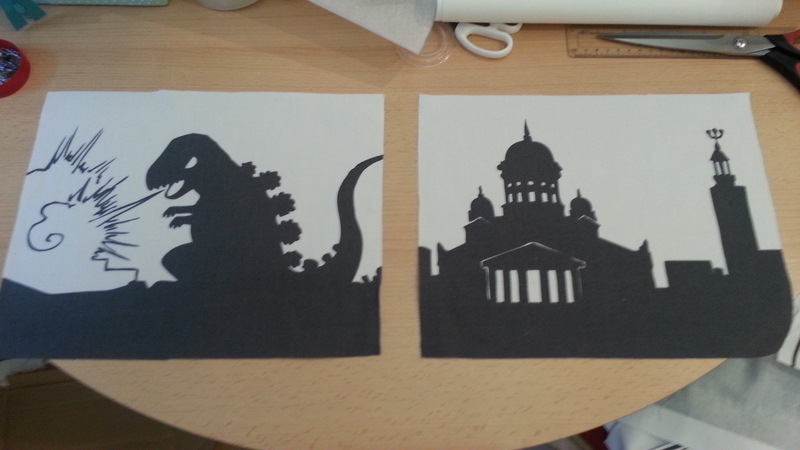 I’m using the Ikea Godzilla print fabric which I couldn’t get in store so ended up buying from a lady on ebay. She sold me the massive panel complete with manga characters but I only cared about the bit with the buildings on and GODZILLA!!! 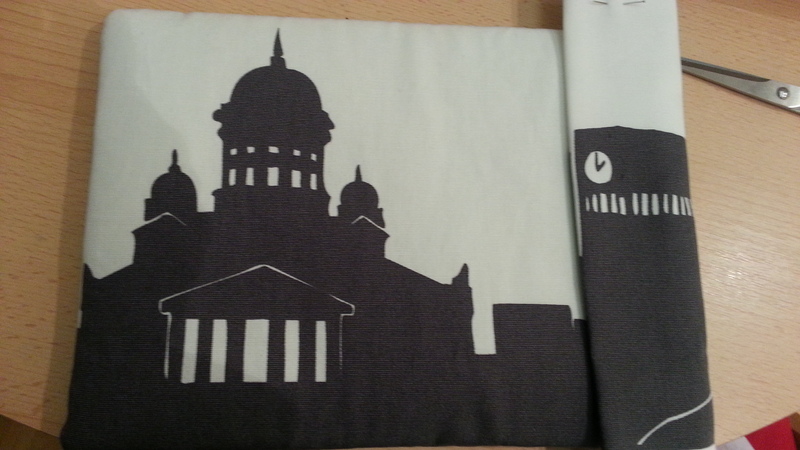 Since Fro studied architecture I wanted one side of the case to use the buildings from the panel. The other side is all monster. I’m making an envelope closing with a button and elastic loop closure. I really hope the iPad fits!! 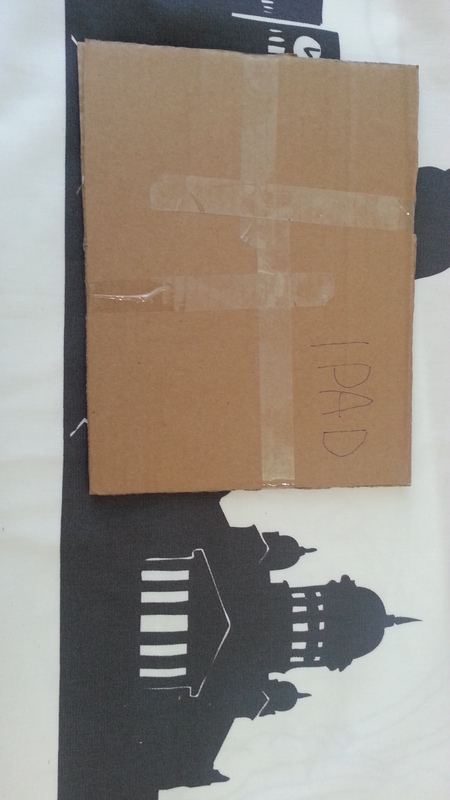 I’ve been using this fake iPad to size it up. 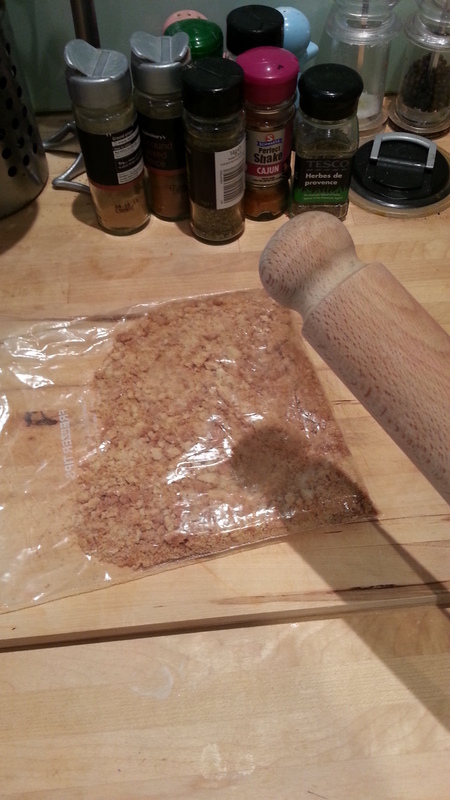 It’s made from an old wine box with three layers to get the thickness right. I’m thinking it’ll only take a couple more hours to finish off. Jimi and I have a new project; making awesome Sunday dinners. Tonight we made vegetarian moussaka with cous cous and crusty bread. Delicious! 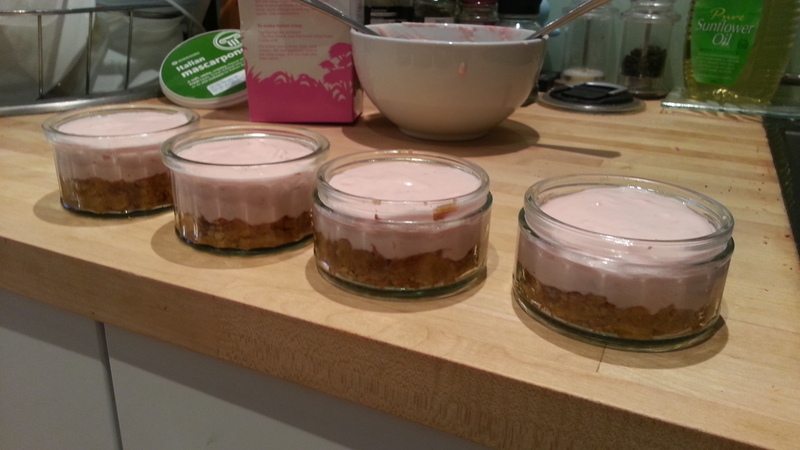 And I’d made strawberry cheesecake for puds. 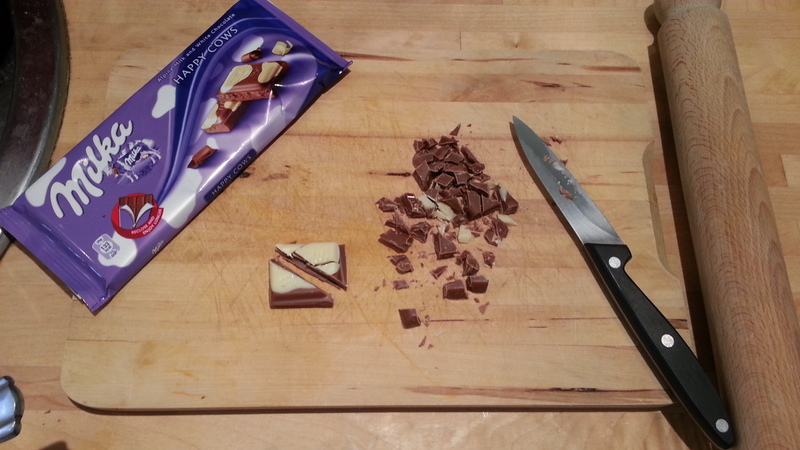 I added milka choc chips to the base so it was extra yummy! And I used some old Gü pots to make them into “mini” cheesecakes. Perfect… oh except for when I dropped one of the glass pots on my foot and bruised my toe! It’s all swollen and won’t bend now. Sigh……. Finger and toe injured in the same day. Three reasons to smile this week…..
It’s been a looooong week. Feels like a month! I’ve been so busy at work that I’ve been getting home late and sleepy most days. And then being all run down lead to another cold! Very unfair if you ask me. There have been some highlights though…. High on the list is getting some awesome fabric from Ikea courtesy of my little bro (aka little fro due to his awesomely big hair). Leeds wasn’t stocking it but WAHEY Manchester was!! And I love how bargainous the cotton is. Very good prices for quirky prints and hard-wearing. Not sure what to make with it. I’m going to hold onto it until the perfect project comes along. I saw on one blog a girl planned to use her metre of this fabric to line a Minora jacket. 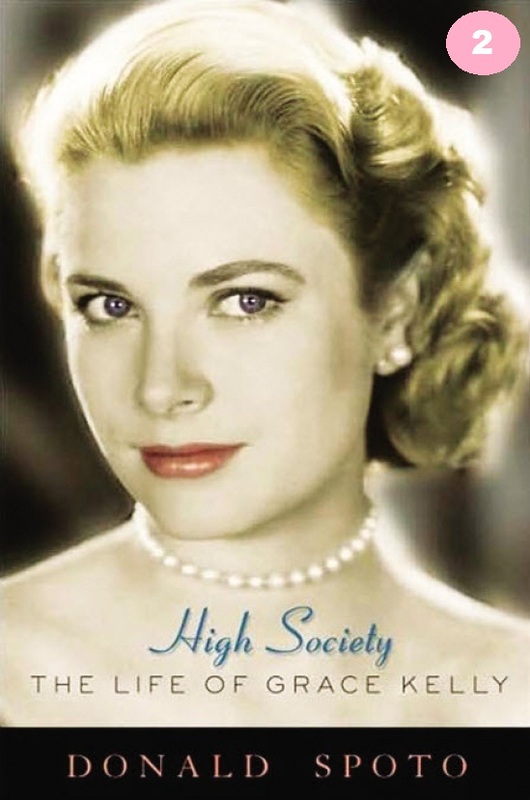 Secondly, I’ve just finished reading High Society: The Life of Grace Kelly. I was watching the Monaco Grand-Prix with Jimi and realised I’d love to learn more about Grace Kelly’s life. I have a lot of old Hollywood movie star biographies on my shelves so picked this one up off eBay for a surprising £1.25. 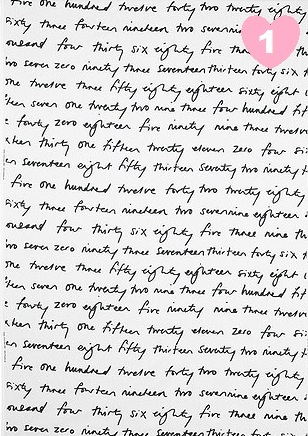 I read it in only FOUR days! Gosh it was good. She was so lovely and had amazing patience and decorum. She always tried to bite her tongue and not let anger or frustration take over. 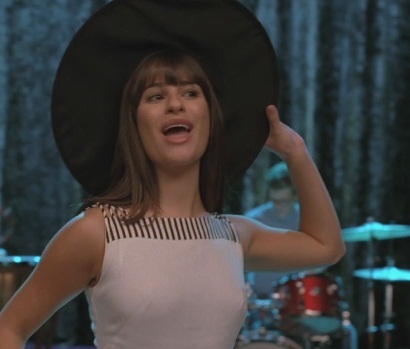 Her life wasn’t the fairy tale everyone imagined it was and she struggled having to give up acting and move so far away when she became a princess. Spato is a little bit too eager to flaunt how Grace loved him and wanted him to tell her story. But I can sort of believe him as he treats her with lots of respect even when handling the more unseemly parts of her life. He’s reverent of her memory but still tells what seems to be the truth. 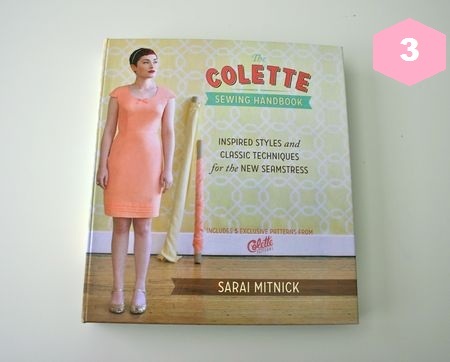 Also making me happy this week is finally getting The Colette Sewing Handbook. I know I’m like the last person to buy this book. I feel like I’ll be in a better position now as I can look at everyone’s blogs for help on the patterns and sizing. I’m super eager to try the scallops though I doubt my skirt will look like the one in the book. Reading the part about patience and inner calm in sewing struck a chord with me. I’m always desperate to finish and rush things. I’m going to try taking things slower, having a plan and hopefully ending up with finished garments I love and will last. That’s all for now. I need sleep and I’ve spent the past few hours finishing a muslin for a new dress and pinning and cutting the real fabric. I’m seeing stars!! No, really, it’s the green star print fabric I bought ho ho ho. It’s not that I don’t have any original ideas but I like to see if other people have had better ideas. For example there is nothing unsensible with googling other people’s V8723 dresses. For instance Spatastic’s yellow version is cute but not my colour and it’s good to know where she had problems. Jorth’s spotty version captured my attention because I’m a crazy spot fiend. And though I’m not brave enough to wear a totally white dress this version by Terri is so girly and pretty I’d like to twirl around in it in a field of daisies. Ahem back to reality. I think I’ll make this out of a fairly sturdy cotton from ikea. God I love a good pop of stripes or a clash of spots!